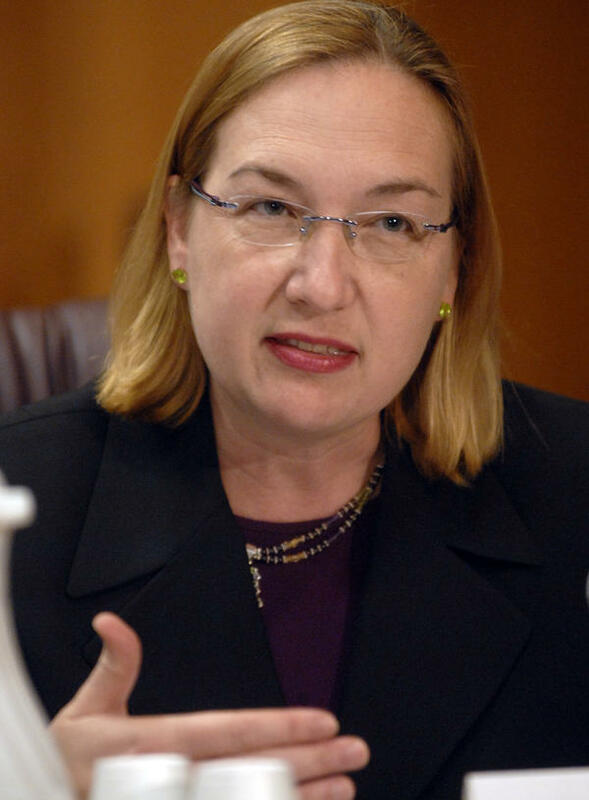 Chief Judge Beryl A. Howell of the U.S. District Court for the District of Columbia, in a 2007 photo, issued a ruling last week striking down a FEC regulation on anonymous gifts to "dark money" groups. Chief Judge Beryl Howell, of the U.S. District Court for the District of Columbia, threw out a regulation adopted by the Federal Election Commission in 1980. The rule said that "non-political" groups, such as 501(c) nonprofit organizations, could ignore a disclosure law if donors' contributions were not earmarked for specific advertisements — an exception that wasn't in the law passed by Congress. Howell's decision was issued Friday evening. She listed ways in which the regulation undercut the transparency principles of campaign finance law: "including informing the electorate, deterring corruption, and enforcing bans on foreign contributions being used to buy access and influence to American political officials." At Citizens for Responsibility and Ethics in Washington, the plaintiff in the lawsuit, Executive Director Noah Bookbinder, said, "This case closes one of the loopholes that has allowed the system to get out of control, and gets you back a little bit closer to a system of much more significant public information about who's influencing politics." Practically speaking, Howell turned off a conduit through which some $180 million flowed in the 2016 campaign. The use of 501(c)(4) social welfare organizations has proliferated in recent elections, especially since 2010, when the Supreme Court's Citizens United ruling relaxed the limits on corporate, union and wealthy individual donors. Just-retired Justice Anthony Kennedy, who authored the Citizens United opinion, wrote that transparency "enables the electorate to make informed decisions and give proper weight to different speakers and messages." But meanwhile, social welfare entities such as the Koch network's Americans For Prosperity and the liberal League of Conservation Voters recruited wealthy donors to finance their ad campaigns anonymously. The nonpartisan Center for Responsive Politics identified 19 501(c) groups that each spent $1 million or more on overtly political "independent expenditure" ads in 2016 and would now be affected by Howell's ruling. But the decision does not affect "issue ads," which, unlike independent expenditure ads, avoid explicit vote-for, vote-against messages. "The thing I'd be most concerned about is protecting the donors who gave in good faith," said David Keating, president of the conservative Institute for Free Speech. CREW's lawsuit focused on FEC treatment of spending by the 501(c)(4) group Crossroads GPS, and Crossroads intervened as a defendant. Spokesman Chris Pack said Monday evening, "This was wrongly decided and we will proceed accordingly after reviewing an array of legal options." Crossroads GPS spent $71 million on independent expenditures in 2012, the cycle examined in the lawsuit. It was dormant in the 2016 elections.